Discussion in 'Worldwide MMA Discussion' started by Drake, Jul 27, 2016. Oku, Better Every Day and TrainInVain like this. leto1776, Tobago Jones and Drake like this. Yeeeah. Stanley is a great replacement though. That chick caught my interest in her last fight, hah. Really fun little scrappy fighter. FC18 still has a LOT of potential for fun/interesting fights. I'm just glad that Aldana/Santos wasn't scrapped due to injury. We'll see them fight soon enough. So, is Dandois likely to put the nail in the coffin of Duke's fighting career? I don't know enough about Duke's fighting style to know what she will even bring to the cage, but her record suggests it won't be anything terribly effective. I get the impression that Dandois has no desire to stand and strike, so maybe that is what Duke will try to do. On the ground, Dandois will probably have it sewn up. Duke might be fighting for her job! Will Alvarez be able to give Mizuki a challenge? It seems like Mizuki might be fighting for the belt before long. She's on it. 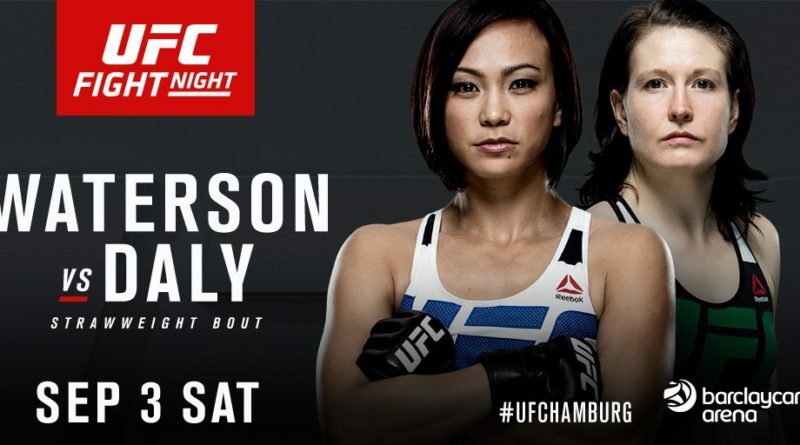 I foresee her facing Grasso in a rematch/title fight. It's amazing how skilled both of them are at such a young age. I'm also looking forward to seeing Stanley fight. Win or lose, it's guaranteed excitement. She's a friggin' savage. curryjunkie, TrainInVain and Drake like this. DrGlaze and Vulcan like this. This opponent is about as perfect a match up as Jessamyn Duke can get. Cindy is one of the worst strikers and can't take a punch. To win all you have to do is don't get taken down. If Duke can't win this fight easily she needs to hang up her gloves. It is amazing how far Duke has fallen. She had a lot of room to grow but you could tell with some specific improvements she could have been one of the best to come from TUF18. Duke never should have joined Team Edmund. She wasted her career there. Look at who the best female strikers are and their coaches - they are legitimite boxing, kickboxing, thai instructors. It's simple. If you want to learn wrestling, hire a wrestling coach; if you want to learn bjj, hire a bjj coach; if you want to learn boxing, kickboxing or thai, hire the appropriate coach specializing in that craft. Too many fighters hire MMA striking coaches who aren't qualified to instruct talent. Drake and TrainInVain like this. Many things seemed to go wrong there for quite a few people. Drake, TrainInVain and thatdude21601 like this. I guess if you want to learn how to do a bad job of hiding your income, you hire Edmund. 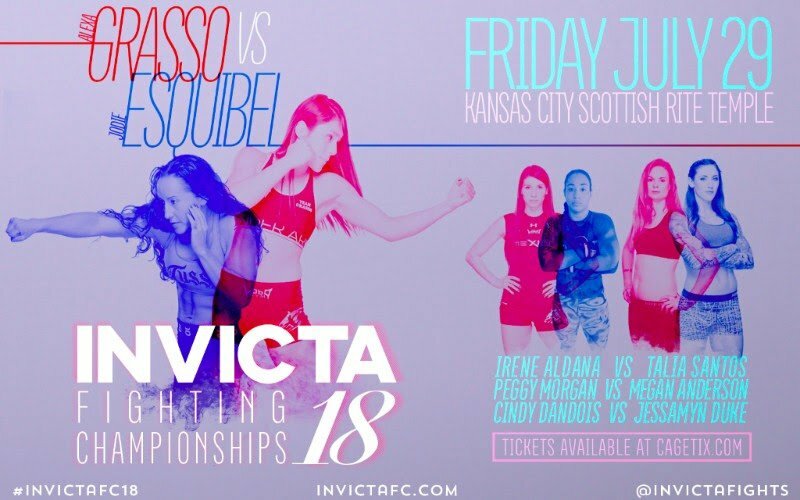 What time does Invicta start? Oku, Slobodan and Drake like this. Speaking of Anderson... How will she fare against Morgan? I sure hope she keeps her hands up this time as Morgan mentioned that she's going to be bringing some accurate striking to the fight. Would either woman have an advantage on the ground? I haven't looked up odds, but one would have to think that Anderson will be a YUGE favorite. Anderson will def be the favorite. Morgan admits to being the underdog but goes on to say that fans will be in for a good battle. They are pretty close in height, but it still looks like Anderson will have a reach advantage with her never-ending limbs. It'll be interesting if it does turn into power-striking (Anderson) vs. pinpoint-striking (Morgan.) Whichever way it goes, I just hope it's not a one-sided beat down. I don't want to see either of them having to face Cyborg. I just hope that taking a last minute fight isn't going to be a bad thing for her. I could be totally wrong, but I don't think of Stanley as being the sort of fighter whose everyday walking around weight is kept close to her fighting weight. Well Maryna Moroz will be facing UFC newcomer, Danielle Taylor, who tried out for TUF 20. Taylor is listed at 5'0 while Moroz is 5'7. Taylor has faced Jillian Lybarger, who is the same height as Moroz, and won by TKO. Just 5 days ago, someone tweeted suggesting Taylor fill in for Kish and here we are. Tobago Jones and TrainInVain like this. 7" Reach for Moroz as well. Oku and Slobodan like this.